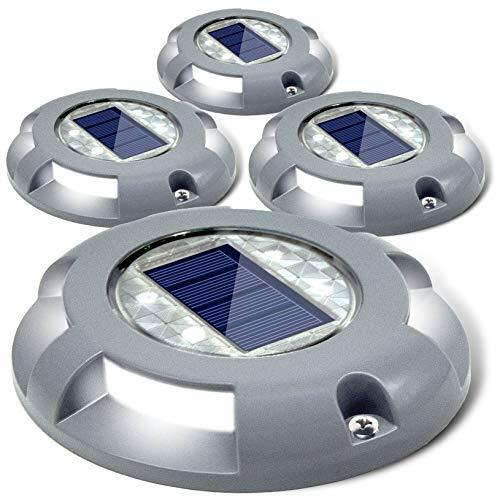 Elegant Design: Siedinlar Solar deck lights is made of aluminium alloy,solar panels, led, and storage battery. With its wireless design, no need for hand controlling, simple, safe. 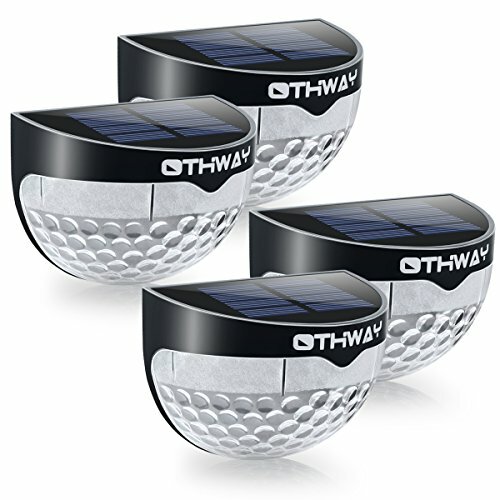 Resistance to Pressure: Solar deck lights Resistance to pressure (up to 20 tons) . It will not be damaged even the car or truck run over it. With the great illumination, it can prevent the accidence. Can be used for deck, road, dock, path, driveway, garden, walkway, sidewalk, step, stairs, etc. 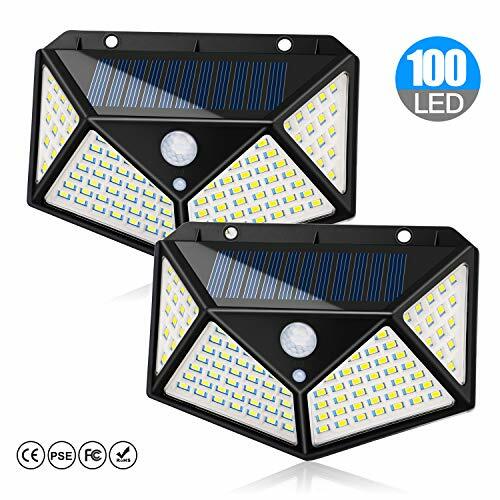 Easy to Use: First time using, (make sure to turn on the switch) Solar deck lights are charged in the daytime for 6~8 hours under the sun, and will turn on for 12~15 hours in the nighttime automatically. It can be mounted with the provide screws. IP68 Waterproof: With IP68 waterproof against any types of terrible weather like a rainstorm, blizzard or daily heat in a long time.aluminium materials ensure the light can be used in all kinds of outdoor conditions. Cautions: Reduced sunshine in winter, will affect the use of time. Please make sure the sun light can be directly on the solar panel at least 3~5 hours to fully charge the battery in side. If there is any problem with the Solar deck lights, please contact us. 1 year guarantee and 24H customer service. 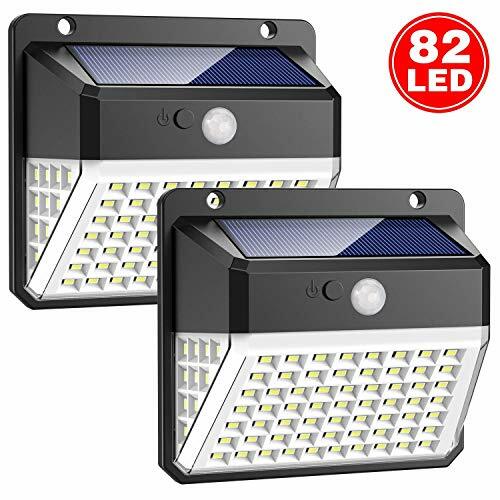 Ultra-Bright Outdoor solar light High-powered 28 LEDs provide excellent illumination of up to 400 lumens. 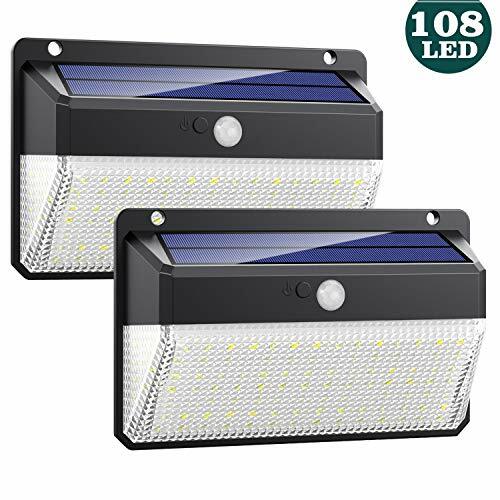 This led solar light outdoor provide excellent illumination and turn the dark space into a bright lighted space and provide security for your home or business. 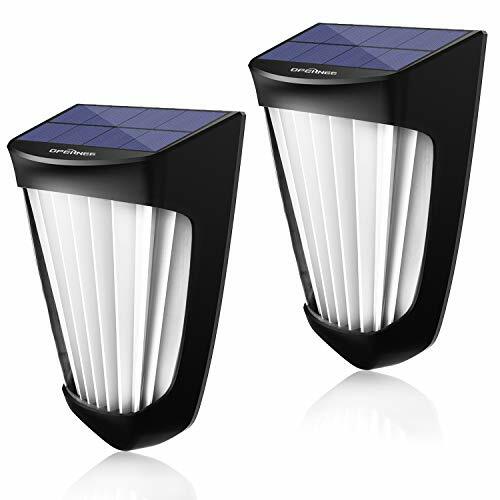 High Efficiency Solar Powered Lights Our motion sensor solar light is charged through the day by exposure to sunlight. 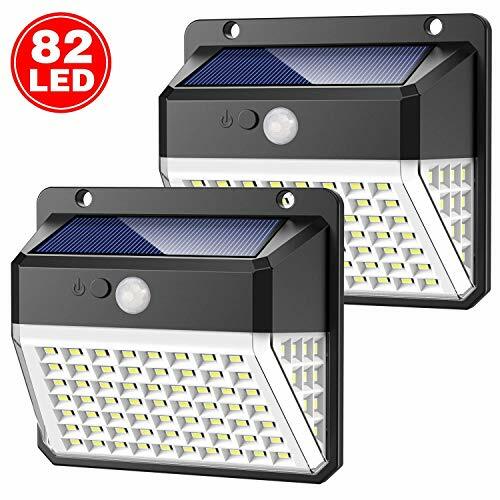 Its Li-ion can provide 8-10 hours of illumination at night from just 6-8 hours of charging during the day.No dim mode helps to extend the work time and life span. 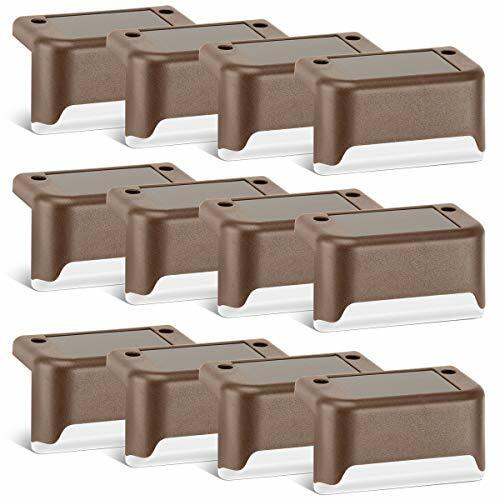 Smart Motion Sensor Detector The motion sensor lights will turn on automatically in darkness or at night,which can detect a maximum distance of 26 feet and a maximum angle of 120 degrees. When the sensor detects motion at night, The light will lighting up automatically about 30 seconds. 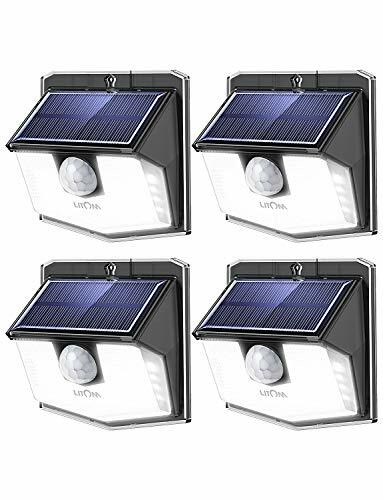 Wireless and Easy installation Just using the Key Pin to activate the solar wall lights and mounting them with provided plugs and screws.No complicated wiring is necessary.Recommended optimum installation height: 6. 5-13 feet. Weatherproof & Durable Made of high-impact ABS material with IP65 waterproof design allow to withstand a wide range of weather conditions. 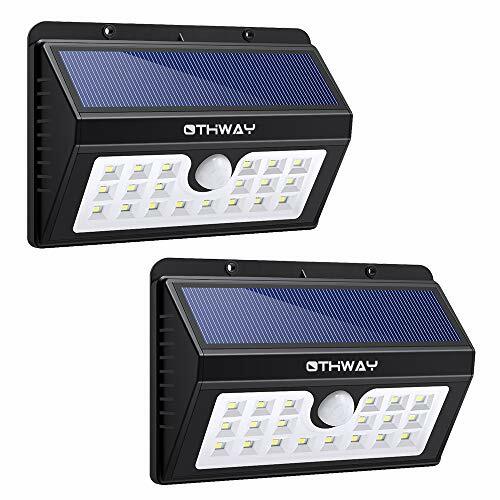 Therefore the solar powered security light is more durable and weatherproof than ever before.Heat resistant and weatherproof, no worry about outdoor destroy. 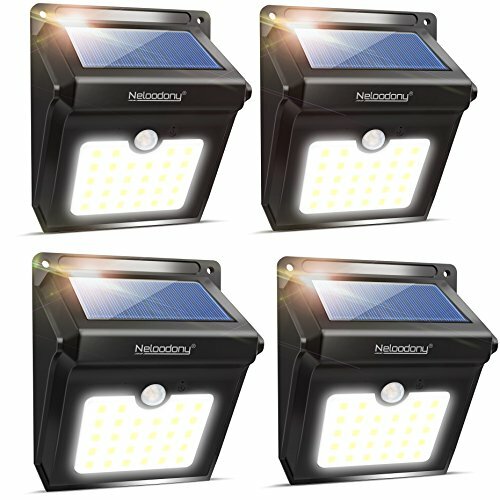 NEW VERSION Solar LED light has unique light Modes: Auto on &off Flicker Flame Mode with motion senser White light The warm yellow flame is attractive, charge during daytime, and automatically turn on when darkness comes, creates a welcoming and romantic ambience, suitable for daily and festival garden d cor. 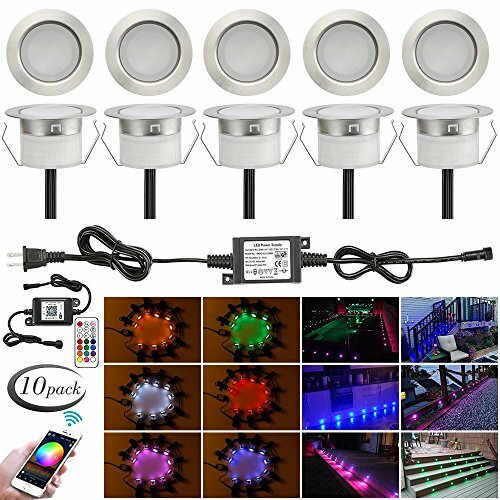 Sensitive PIR Motion Inductor With 12pcs Bright White LED at the bottom, wide-angle motion detector head, solar light detects motion as far as 16feet (5m) at up to 120 angle,White LEDs light up the way when someone passes by, and will lasts about 10s. High Efficiency & Eco-Friendly Absorbs more solar energy in the 1200mAh rechargeable battery from sun due to the solar panel, convert rate at 17%, Permit about 8-10 hours of lighting after being charged for over 7 hour under normal sunlight. 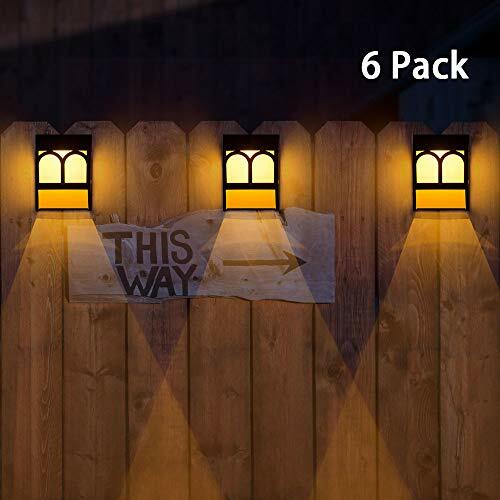 IP65 Waterproof & Durable The Solar Wall Light make of high quality ABS material - weatherproof and durable make these solar lights fixtures works well and safe in different kinds of weathers. 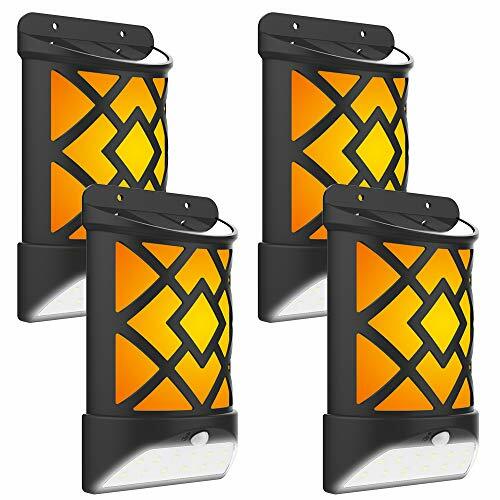 The solar patio lights suitable for pillar, corridor, front door, entrance, deck,porch or anywhere around your outdoor and home d cor.A good choice for your family. 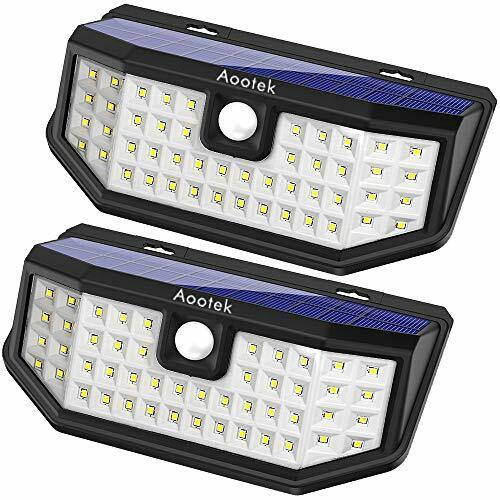 Drives away the darkness with 10 LED solar light. Make your road being bright when you come out or back at night. The solar fence lights will automatically turn on at night and shut off at sunrise charge the battery again. 1. Make sure the solar light is located in an area where it can receive the maximum amount of full, direct sunlight every day. 2.Please fully charge battery for two or three sunny days before installation. 3.The solar panel should be cleaned with a damp cotton cloth on a regular basis. This will ensure optimal performance and battery charging. 4. Turn off the switch when there is no sunlight for over 15 days. The included solar panel will absorb sunlight and converts the sunlight into electricity which will be stored in the pre-installed rechargeable battery during the day. 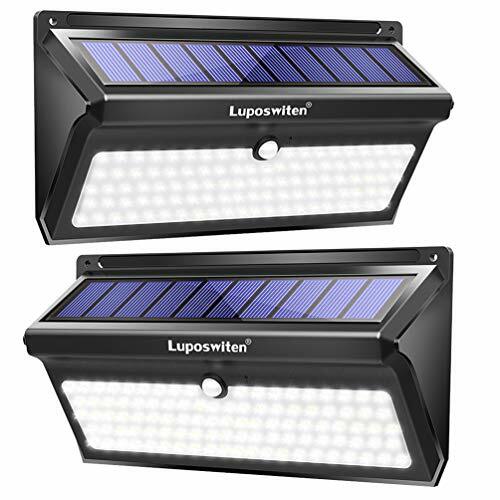 The battery will supply power for led bulbs illumination at night. 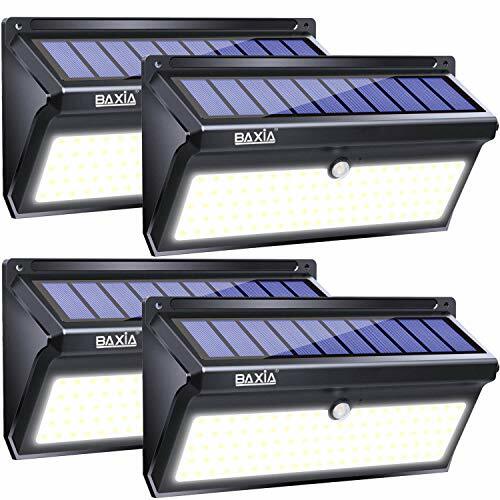 2019 Upgraded Solar lights 8"x8" larger solar panel & 1200mAh battery capacity offering longer working time (8-10hours). Using the best polysilicon solar panel (2V/0.7W) , the solar lights can absorb solar energy quickly, will be fully charged over 6h. 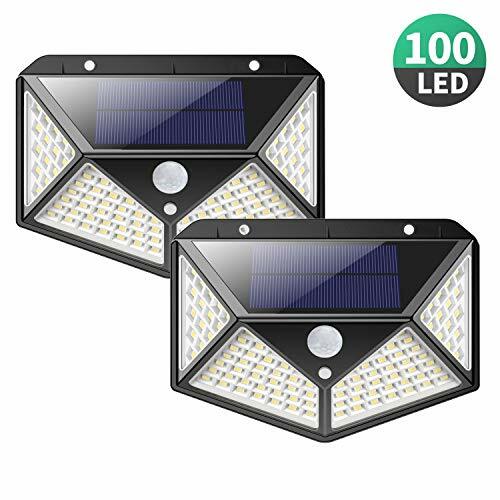 10LED Solar Powered & Auto on at Night With built-in photocell sensor, this solar outdoor lighting light turn off during the daytime, turn on automatically at night. Safety and Eco-friendly Energy saving and helps cut down on electricity costs. A good choice for your family. 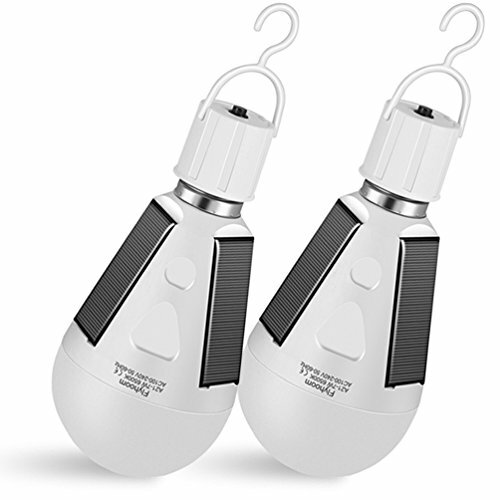 please make sure these solar post lights is mounted in direct sunlight all day so that it can absorb more sunlight for best charging. 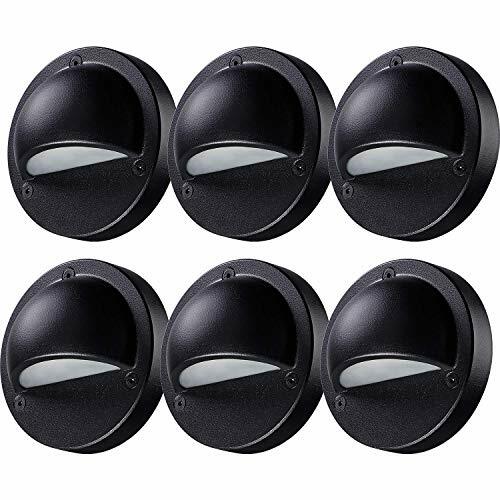 Easy to Installation and for All-Weather Press the switch and install the outdoor yard wireless light on the wall by anchors and screws. It is waterproof and weather resistant for all kinds of severe weather. Perfect for garden yard lawn patio landscape security, not least for garage porch driveway pathway decking or any spot alike. High Quality and Warranty OPERNEE provide 100% Money back or replacement warranty if there is any quality issue or any reason that caused you dissatisfy with this item. Please identify the OPERNEE outdoor solar light only sold by OPERNEE Direct!